An old adage claims that money can’t buy you happiness- but it can buy you a P-51 Mustang. 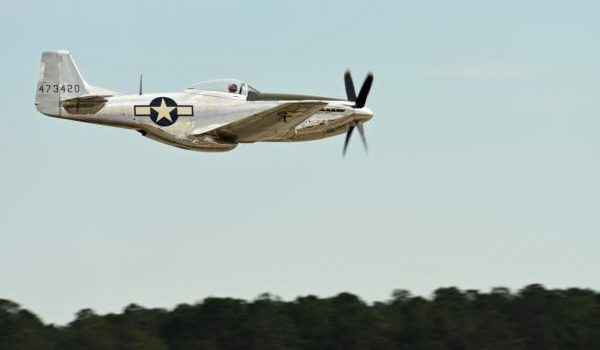 The legendary fighter plane is in unrestored condition, with an original engine and most of the same parts from when it came off the North American Aviation Assembly line in 1944. Clad in a bizarre jungle camouflage pattern that would be more suited to an A-1 Skyraider of the Vietnam war, the D model Mustang once belonged to the Fuerza Aerea Guatemalteca (Guatemalan Air Force, though the Spanish translation makes for an unfortunate acronym), and was flown from 1954 until 1972, when it was bought by an American citizen. Still armed with .50 caliber machine guns (though their condition or status with the BATFE is unknown), the aircraft was enjoyed by the American pilot for about nine years before he put it in dry storage. According to the listing, the Mustang’s condition and rarity demand a hefty price: $4,500,000 to be exact. 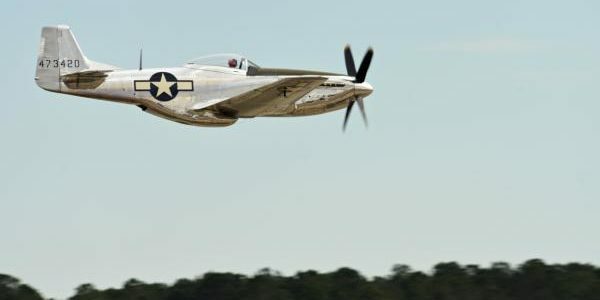 “This may be the last original unrestored P-51D Mustang in original military configuration,” the ad reads. So if you have more money than you’re comfortable with and want to part with some of it, this would be a far better investment than a Lamborghini. For those not currently in possession of a few million, this aircraft is a perfect excuse to get a start-up company going.